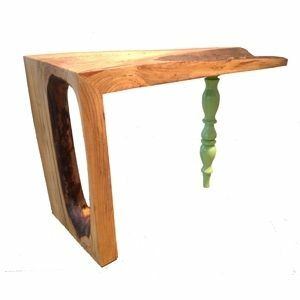 This piece is made from a solid slab of Black Walnut and contemporary turned leg. The walnut slab is unique featuring a porthole, framing the turning. Approximate dimension are 32lx18wx18h.